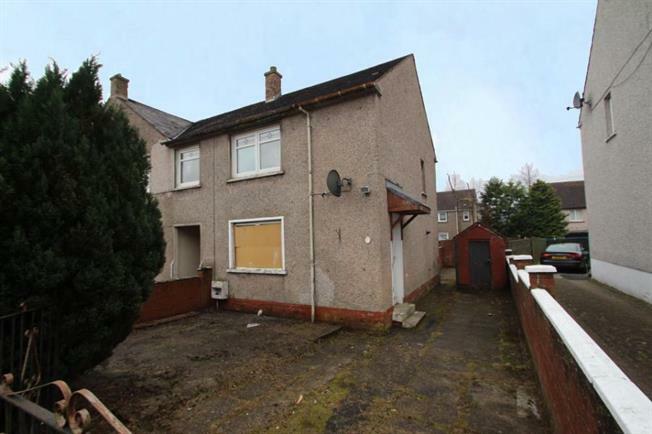 3 Bedroom End of Terrace House For Sale in Airdrie for Offers Over £62,000. The property on offer comprises an end terrace villa located in the Holehills area of Airdrie. The accommodation on offer extends to entrance hallway lounge, kitchen,three bedrooms and bathroom. The property has gas central heating (not tested) and double glazing. There are front and rear gardens and a driveway to the side. Your attention is drawn to the fact that we have been unable to confirm whether certain items included within the property are in full working order.Any prospective purchasers must accept that the property is sold on this basis.